Being a huge fan of Hard Knocks & I’m always fascinated about the process of how teams cut players. Usually before a player gets cut they receive a call to come to the coaches office and bring your playbook. It’s sounds like a typical protocol for all 32 teams right.. Well my beloved Washington Redskins dropped the ball! 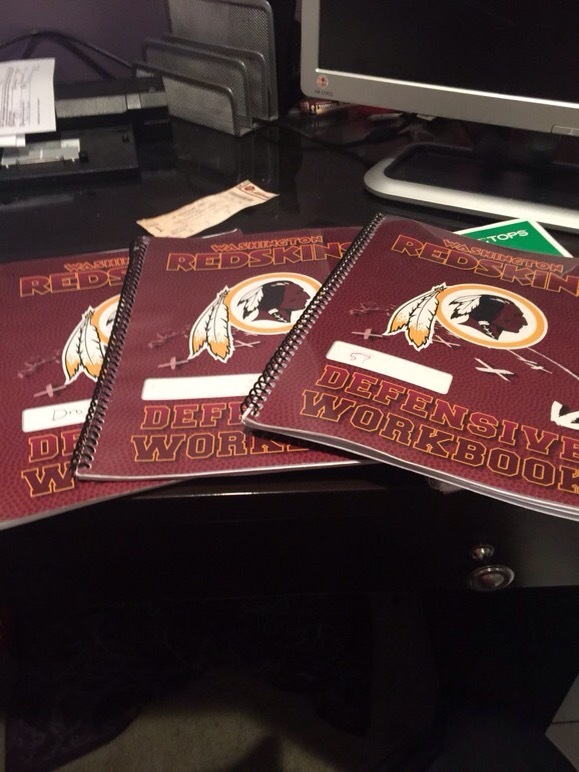 Ejiro Ederainen was cut by the Redskins and a fan found his playbook & several other play books in a clear trash bag near a hotel where Redskins rookies stay during Training Camp. The Fan now know as “Josh from Ashburn” called The Junkies Radio show & described the contents of the playbook. Josh said: “It has breakdowns and handwritten things of the new calls, like the defense change the call or whatever. He scratched it out and put the new verbiage for it. I mean it’s got everything “. Josh also stated that the playbook had audibles with descriptions of what guys are suppose to do.